Let’s talk about Archers today! I am going to show you some great tips on using them and you will easily see why Archers are very popular at the moment. Archers are unlocked from the Training Camp Tutorial. This card spawns two medium-ranged and single-target Archers. They have medium HP and pretty low damage. First, let’s take a look and see some ideal counters to the Archers at the moment. The Log/Zap/Arrows leave Archers with a sliver of HP. 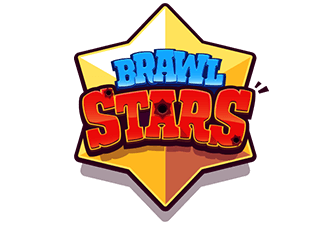 Fireball: 1 hit Archers of course but only use Fireball If you can hit the Tower and other troops as well. 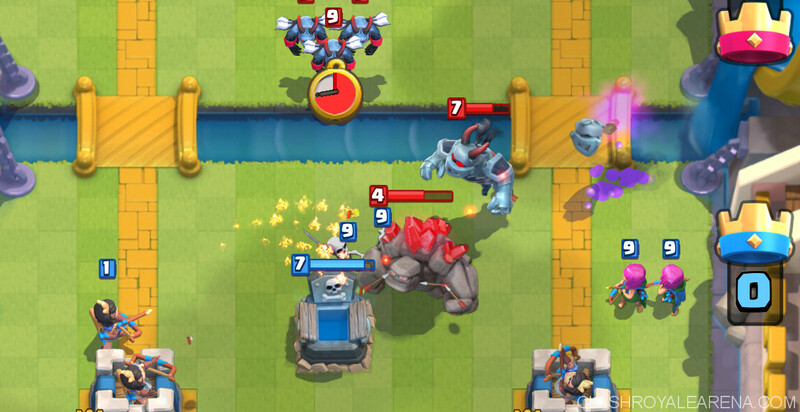 Ice Spirit: Tower will finish them off one by one. 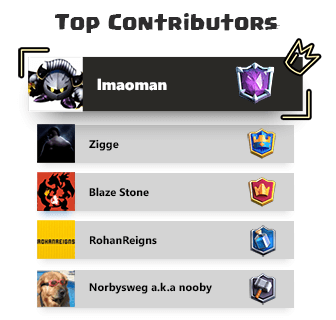 Fire Spirits, Goblins, Guards, Princess, Mega Minion, Bomber, Knight. Although Archers are not really good at baiting out spells but they still come in handy. I usually use Archers to bait out Log so I can use the Princess later safely but only before my opponent is aware that I have the Princess. Sometimes Archers are also very good at baiting out Fireball/Arrows when they are next to Crown Tower/Elixir Collector. With only 3 Elixir, you will get one of the best support cards at the moment. When I play Archers on offense, I usually place the tank at the bank and then place the Archers down once it is about to reach the bridge. They will real tons of damage while your tank is soaking damage. As a cheap support cards, Archers are pretty tanky as they survive Zap, Log and Arrows. 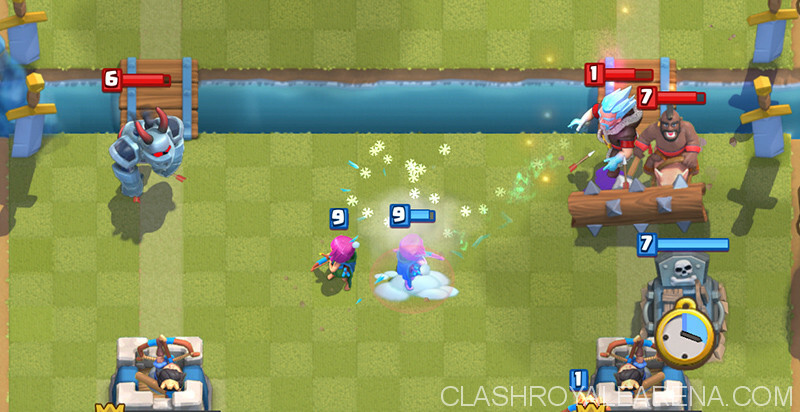 Fire Spirits/Ice Spirits: Watch out Log! 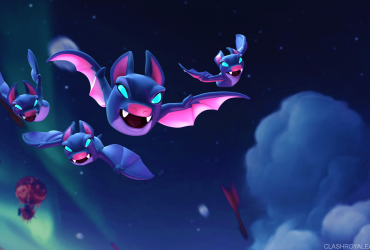 3 Minions: Don’t clump them together otherwise your opponent will Fireball them all. I usually place Minions at the middle in this situation. At the moment, I usually put Archers in my Miner/Hog Rider cycle decks. For just 3 Eiixir, they are super efficient. Why playing Miner decks, I usually place Archers at the back to build up Elixir for a push. Once they are about to cross the river, I send the Miner to soak damage for them. When you want to rush a bit, place Archers at the bridge then send Miner immediately (since Archers are pretty slow). It’s pretty similar strategy with Hog Rider cycle decks. Place Hog Rider in front of the Archers to tank for them. Archers are so good on defense. While Archers are defending, the only card which can kill them for an effective trade is the Fireball. In the current meta game, they are extremely useful against decks using Lightning. If I also play a defensive building to pull the opponent’s tanker from his supports, I will usually place the Archers next to the Crown Tower, as you can see in the screenshot below. Also, most of my opponents don’t usually use Fireball on the Archers after sending a big push since it’s too expensive. Place them right behind the King’s Tower to prevent your opponent from easily rushing you. Place them in the very middle. The first Archer will target the oncoming troops immediately while the second one is walking away. 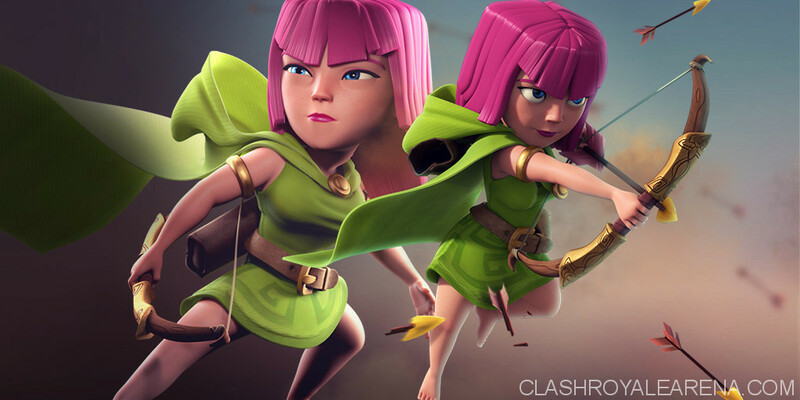 When the opponent’s troops come into range, the second Archer will stop walking and attack them, pull them further. 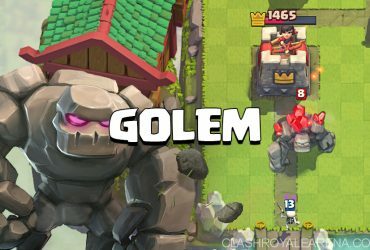 Hog, Archers, Ice Golem, Mega Minions, Fireball, Three Musketeers, Barbarian Hut, Log.